For over 35 years Porta-King has been designing and manufacturing high quality, innovative building solutions for the manufacturing industry. They are a one-stop-shop for all of your interior and exterior building and shelter needs. 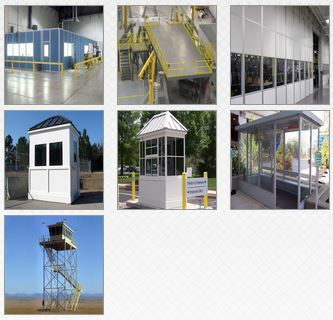 Whether it is a new guard booth, modular office, smoking shelter or equipment platform, they have the product to fit almost any application. In addition to a diverse product line, they also have the industries most experienced team of designers, production and sales personnel to assure that the product is built right and ships on time. Porta-King is headquartered in St. Louis, Missouri, and has eleven regional sales offices throughout the United States. They operate two production facilities in St. Louis and Montgomery City, Missouri with over 180,000 square feet of combined manufacturing space.